Words: Matt Jones Photos: Monica Tindall. 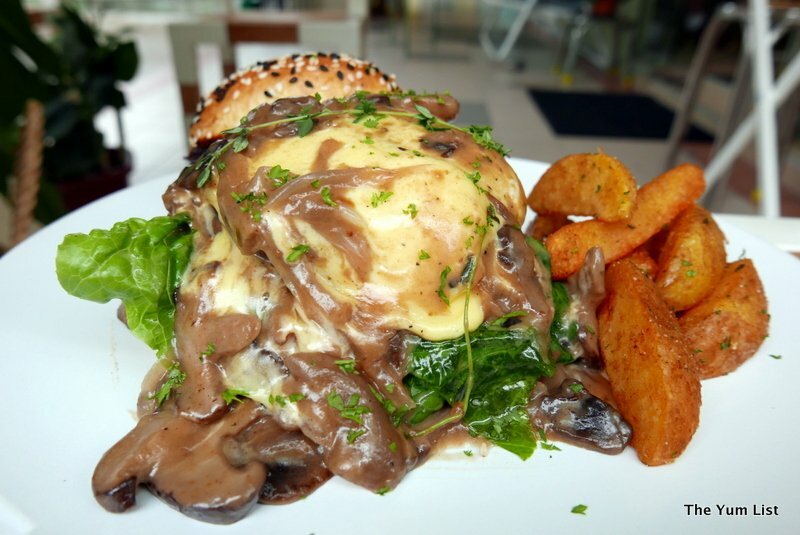 Parked on the corner of Lorong Kedah, the only things micro about Mikro cafe might be the size of the space and the size of the menu, but when the owners pour so much heart and soul into the concept of their food and the ethos behind it, the outcome is anything but small. This latest venture by best friends, fellow foodies and Melawati natives Nas (who opened W2 cafe in Sogo) and Fahmi (formerly of Cafe Molecules) is a great big idea squeezed into a tiny but well-researched, planned and modified capsule of a menu. Prepared in concert with their chef Akid and the same team that they’ve been working with in their past establishments, Mikro has a very strongly defined brand identity. “We wanted to create a sustainable and eco-friendly, zero waste business where everything could be as recyclable as possible,” says Nas. Indeed, used cooking oils are turned into bio-diesel, orange peels and other organic food scraps are composted for the kitchen garden that Chef Akid grows (from which a lot of the produce used in their dishes is harvested), and the coffee grounds and tea leaves fertilise the tiny forest of potted plants that help soften and harmonise the space both inside and out. Talking to the guys, you get a very strong sense of family here at Mikro cafe; the boys have grown up together in the industry, while Fahmi’s wife is the pastry chef who home-bakes the cakes and biscuits (of which today’s choices are the most divine Pandan Gula Melaka cake and Chocolate Chip cookies). 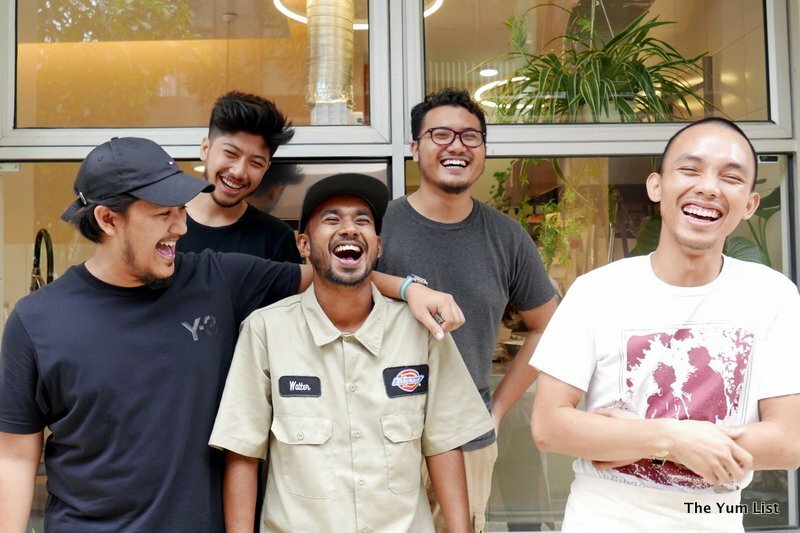 This desire for a shared extended family business runs deeper, “But more than just that (sustainability), we wanted to create a place of community, a place that fosters community spirit, a destination where people can come and feel like it’s their second home”, says Nas. Distance runners themselves, they sponsor local athletes and are huge supporters of the Melawati Run event. 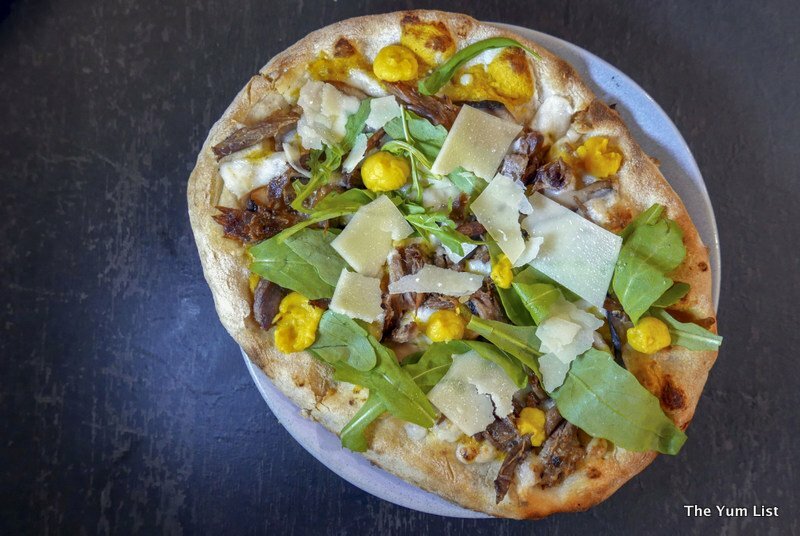 With a menu limited to only five dishes, it’s no surprise that each one is an instant favourite. Carefully created by a collective of their chef best friends and foodie family, the whole thing is based around locally sourced, seasonally fresh, self-sustainable ingredients put together borrowing international cooking styles and methods to create new and different flavours, where uniqueness and innovation are the key influencers. This tiny but perfectly formed Mikro menu honours all of the different proteins, each dish being highly individualised and distinct from the next. 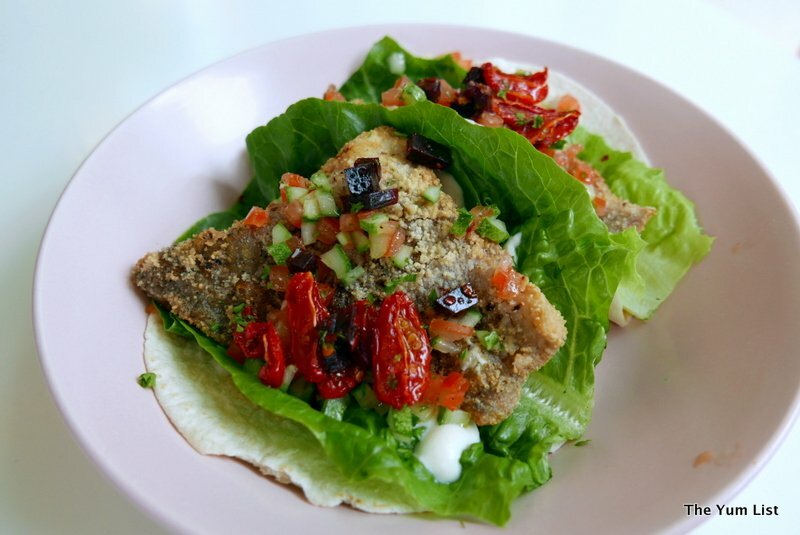 Their signature dish, the best-selling ‘Desperado’ (RM22), is a locally caught whole sea bass fillet flash-fried in a super hot vat to seal in the flavour and freshness, served with sun-dried tomatoes, pico de gallo (tomato salsa) and tahini garlic yoghurt on a soft flour tortilla. Two of these delicious sandwich-size tacos arrive as the serving, and Nas instructs us to “eat them with our hands” to really enjoy the dish. 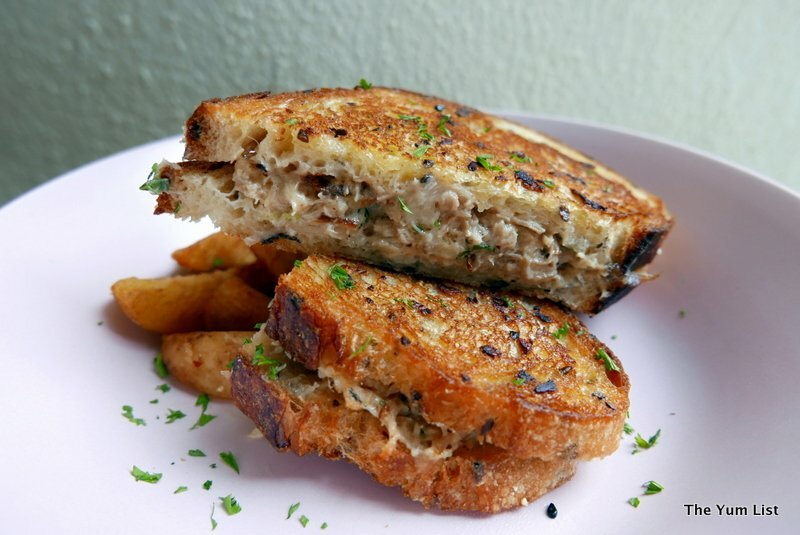 ‘Chick Flicks’ (RM16) is a buttery, cheesy-gooey blankety-hug of a dish of slow-pulled chicken on Sourdough Artisan bread, served with a garnish of hand-cut potato wedges and a sprinkling of chopped parsley over the top. 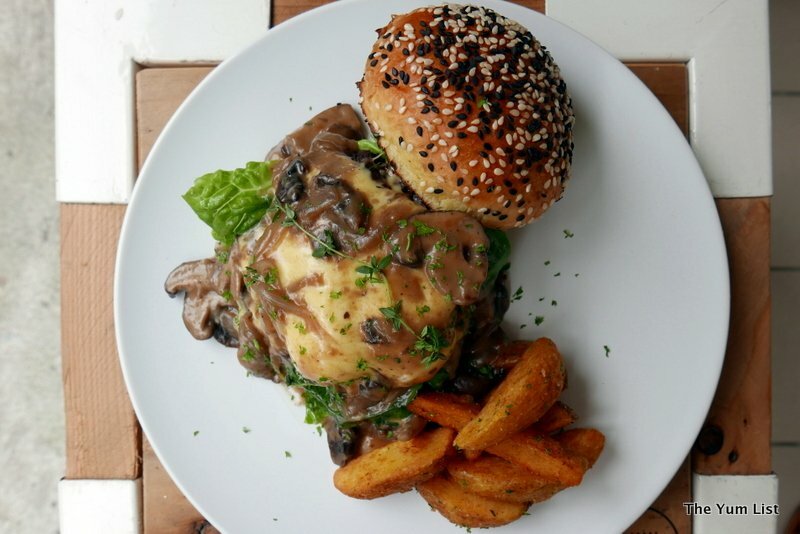 For the burger lovers, the boys have crafted the ‘Magic Mushroom’ (RM20), a juicy beef burger with a luscious coating of sauteed wild mushrooms flavoured with thyme and melted through gourmet cheese, with lettuce (from Akid’s kitchen garden) and a side of wedges. 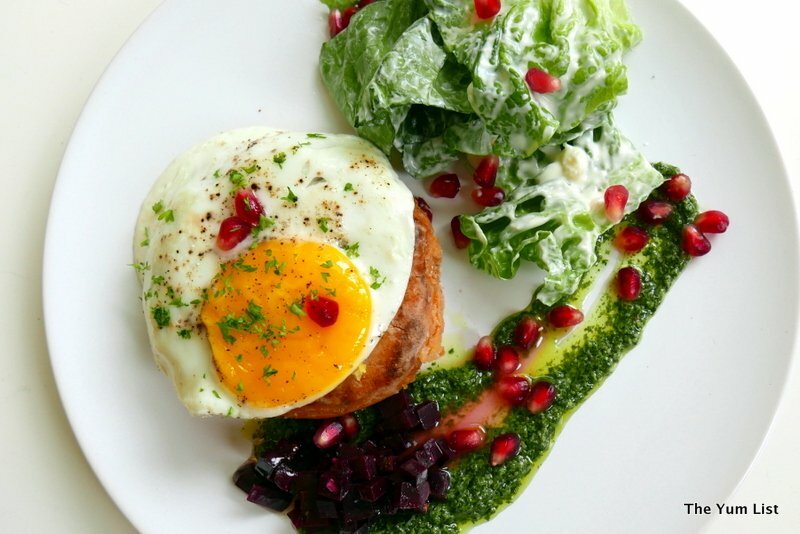 On the more substantial side, head for the ‘Tuna Shak’ (RM18), a pan-fried tuna, almond and sweet potato patty topped with a sunny-side-up fried egg, a Romaine lettuce and pomegranate side with tahini sauce dressing, and a basil pesto with beetroot salad, or ‘Marrakesh’ (RM24), the heartiest of the five dishes, featuring in-house seasoned lamb meatballs in gravy atop an ever-so-creamy mash of purple Japanese sweet potatoes, and a rocket salad side. 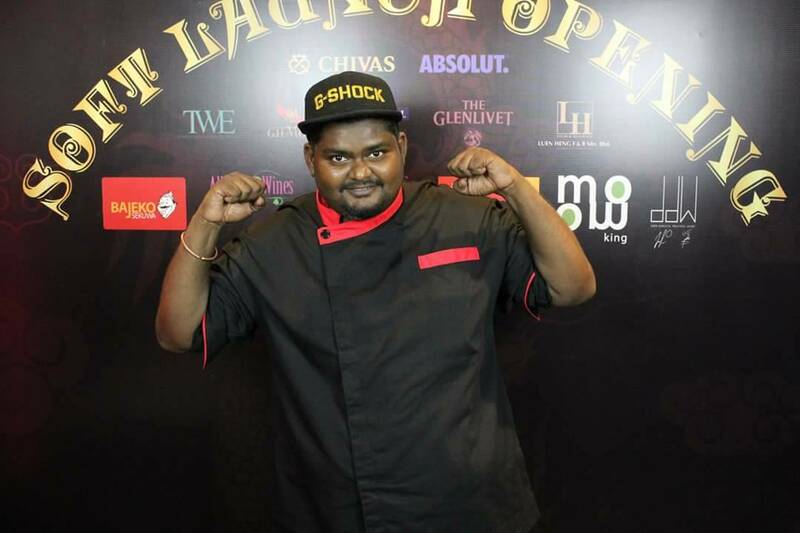 The Sourdough, butter burger bun and all the rest of the artisanal breads are supplied by VCR bakery in KL, and the boys are more than happy to customise and tailor any of the dishes on their menu to suit your individual taste or dietary requirements. 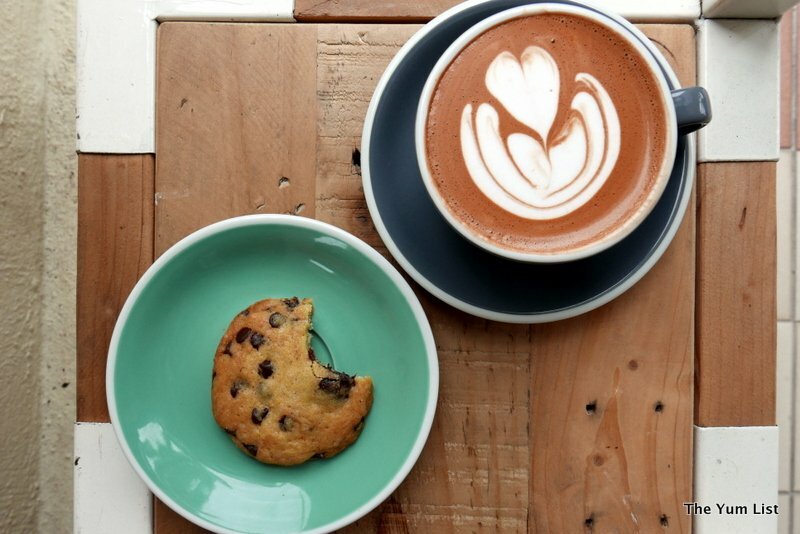 As the sign out the front promises, Mikro serves “Specialty Coffee, Comfort food” in spades, and the baristas make any trip here even just for a coffee more than worthwhile. The specialty coffee roasters are of course local, and their blends and single origins are always changing according to seasonal variations. 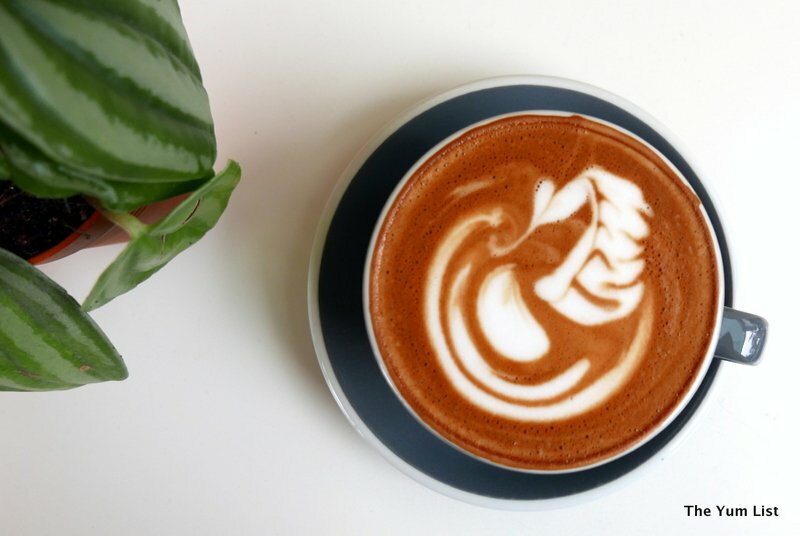 Fahmi says they wanted to create a barista style that suited their customers’ palates rather than their own personal tastes, and these naturally processed coffees have a clean, smooth taste. I opted for my usual Long Black (RM7) while Monica enjoyed a latte, and we decided to share a Houjicha (how can you go past a roasted green tea latte?) and a Hot Choc (all RM10) to compliment Fahmi’s wife’s gorgeously decadent Pandan Gula Malaka cake; a dense, rich and coconutty wedge at RM10, and a Choc-chip Cookie (RM3). 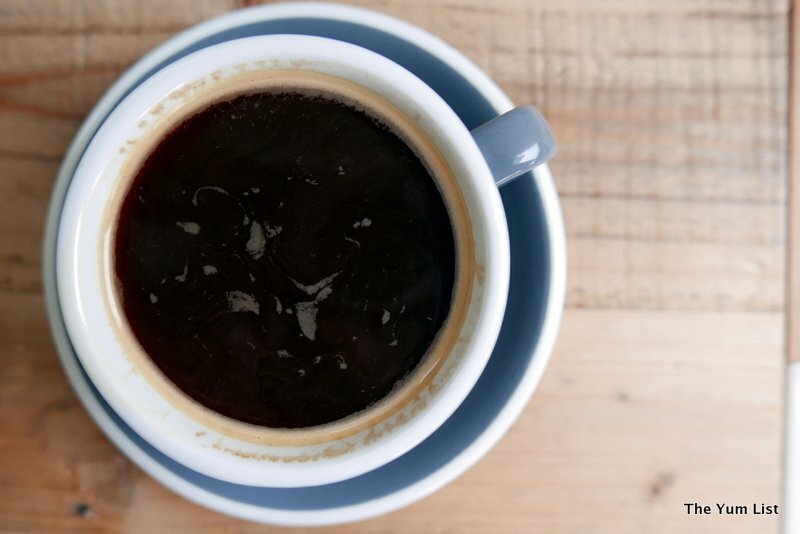 Mikro cafe is open every day (Monday to Sunday) from 8 am to 8 pm with late closing of 10 pm Fridays and Saturdays, catering to the breakfast, lunch, dinner and coffee crowd. 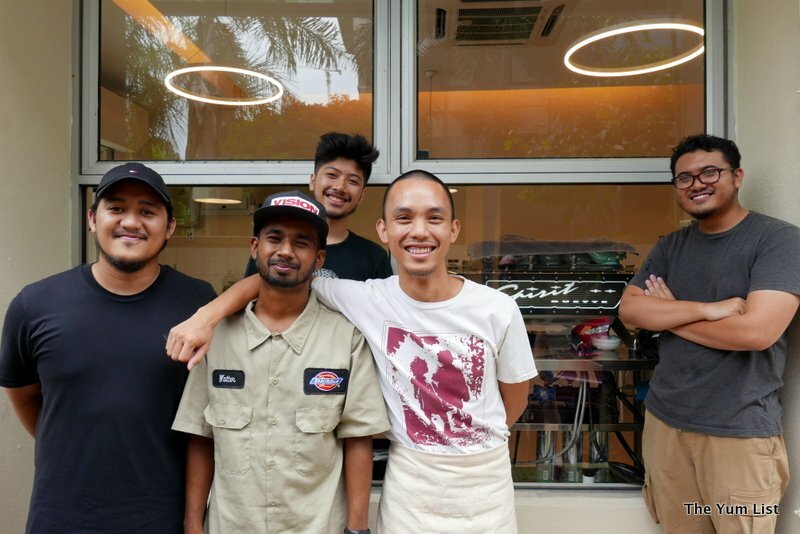 Newly opened on November 4, the boys are looking to expand into making deliveries around Melawati, so ISKL teachers, parents and everyone in the local area look out, your morning and afternoon coffee fixes are about to be fixed! Quality vs quantity, I really like that. 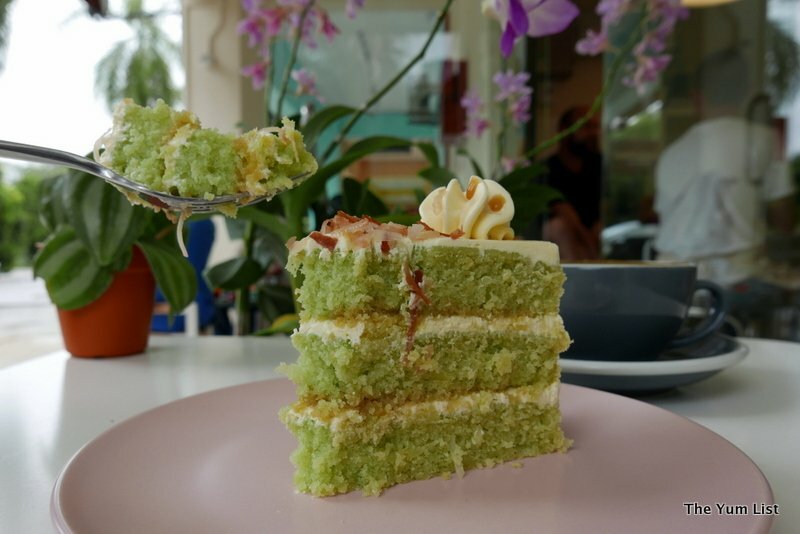 I would not pass up ordering that Pandan Gula Melaka cake. And before I forget, here’s wishing you a Happy New Year! That sure is a bunch of happy people! I like the names they give to their dishes. LOVE the team photo of all of them smiling and laughing! Great fun! The pandan cake looks so moist! I love the look of the team. They look very happy and friendly. Food looks good too.